After living in Istanbul for over two years, I’ve amassed a fair bit of advice and recommendations for visitors. Every few months, especially towards summer, I get emails from friends and friends-of-friends wondering what they should do with a day/week/month in the city. So rather than continue sending the same email around, I thought I’d collect everything I’ve written or forwarded into one post, from the general to the specific. Misconceptions about Istanbul: Chances are, if you are planning a trip to Turkey, you don’t think everyone rides camels and has a harem. But in case you have a nervous aunt, you can send her this post. Istanbul in 2 days: my very quick-and-dirty advice for first-timers. A few updates: if it’s a reasonable drinking hour, look for a rooftop bar to see the city instead of Galata Tower; Buyuk Hotel Londra is my favorite. Also, the Ortakoy mosque is under renovation, but the neighborhood is still fun to visit. 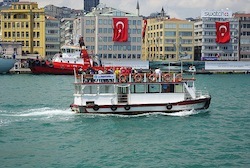 From EatingAsia.com: How to get the most out of Istanbul. Advice so great I wish I’d written it myself. They also have great stories about lesser-known spots all around Turkey, such a drool-worthy quest for anchovies. Your Turkish food gurus are the good people at Istanbul Eats/Culinary Backstreets, with a blog, a book, an app, and excellent city tours to help you find amazing hole-in-the-wall eateries. More great food tips from the Rome-based (but also well versed in Turkish food) Katie Parla, who now has a spiffy new app for the city. Istanbul on and off the beaten path: A fairly standard list, but I wanted to compare the standard tourist attractions with some lesser-known spots. Where to shop outside the Grand Bazaar: Note: the wonderful Kagithane House of Paper no longer has a shop in Galata, but they still have stores in Nisantasi and inside Bej Kahve in Karakoy. SantralIstanbul: One of my very favorite off-the-beaten-track museums. 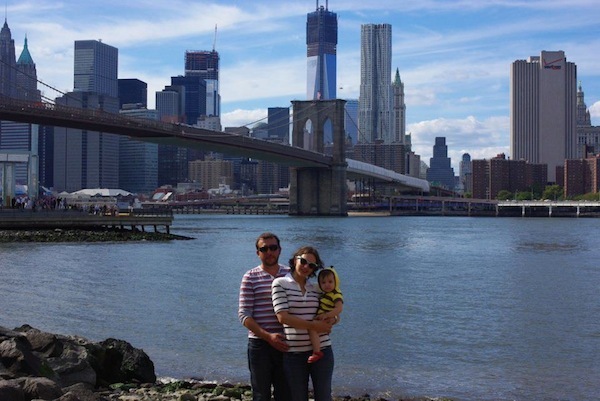 I last visited it with a friend when I was eight months pregnant and had the “brilliant” idea of taking the ferry. We hired a small boat to take us the rest of the way, and while sitting on the smelly Golden Horn with a strange and sketchy-looking man was less idyllic than imagined, it was an experience. Eating kosher in Muslim Istanbul: Not relevant for too many visitors, and not the most useful post if you are hoping for a bevy of options, I’m afraid, but thought I’d share our experience with a past guest. I leave for Istanbul on Tuesday, April 27! Flying Turkish Air, hoping for an upgrade since I’m flying a fully refundable coach ticket. I’ll be in Milan May 6-10, staying at my cousin’s place and possibly our fabulous client Principe di Savoia with daytrips planned to Venice and the Lakes region. I bought a Kindle and started loading it with Turkey travel guides, Stieg Larsson novels, and looking for epic novels. My NYC fun list has been cut down due to the mammoth workload I have in my apartment, though I’m still planning on lunch at Peter Luger’s, Tim Burton MoMA exhibit, and a few others. Why is my NYC fun list cut? I’m going through ANOTHER bed bug hell, this time in my living room. This means all the hundreds of books, winter coats, and unfinished projects have to be bagged and stored in another room. AHHH, it’s hard to contemplate, but it will get done somehow. To my dismay, YouTube and WordPress are BANNED in Turkey. I have learned of a number of ways to get around this, including H’s VPN and numerous proxies, but I’ll update (hopefully) once I’m on the ground. Due to the ash cloud, H had an interesting experience getting to Turkey. Original flight was routed through Kiev to Istanbul, but he ended up stranded in Moscow, unable to leave the airport due to lack of visa though he was born in Russia. On the plus side: he found himself drinking beers in the airport with Jeff Koons and Onyx! We finished watching season 2 of Breaking Bad and started season 3, so good! I can continue on iTunes, any tips on watching Showtime/HBO shows online? I’ve resisted watching Treme so far because I know I might not be able to watch the whole season, but want to continue with Nurse Jackie and United States of Tara. Lots of friends plan to visit me in Turkey over the summer, let me know if your plans take you there! Back to the purging and packing.. While I spent much of my childhood on family trips around New England and the US, save a trip to New Zealand with my mother at age 8, I didn’t really become a world traveler until age 24 and have been accumulating passport stamps as often as possible ever since. My mother Mary, on the other hand, has never been to Europe but due to my Istanbul move, that’s going to change next month. To sweeten the deal, I have a cousin in Milan who is moving back to New Zealand over the summer, so now is our last chance to visit a family member in Italy. Originally, we thought about adding London to the trip, as a Europe “warm-up” and a place she’s always wanted to visit, but decided 3 countries was too much for 2 weeks. Besides, the trip is more about visiting family living abroad than seeing the top cities of Europe. Any recommendations for airline booking sites best for open-jaw tickets? I generally use Kayak and was recommended the excellent Skyscanner.com for intra-Europe flights, but always on the lookout for other ideas. Skyscanner found me a gonga deal on the Milan-Istanbul flight: $60 on budget airline Blu Express, any feedback on the airline or how to get from Istanbul’s Sabiha Gokcen airport to downtown? We definitely plan to see the Last Supper and see an opera at La Scala in Milan, other must-sees for first-time visitors? Day trips from Milan? In terms of timing, any advantage to booking the trip for early May rather than mid-May? Since I’ll be arriving in Turkey the last week of April, I’d rather have a few weeks to get acquainted before hosting visitors but if the cost difference for hotels is significant, I could be flexible. Finally, I’m looking at hotels for Milan and possibly Istanbul (in case we aren’t settled in an apartment) and open to ideas. Worth using some Marriott points for the Milan Marriott? Any and all advice for a European first-timer is appreciated. Though it won’t be my first time to Italy, it will be my first time in Milan, and my once semi-fluent Italian is quite rusty, my hand-gesturing is almost native. I’m excited to experience two fantastic countries with someone experiencing Europe for the first time. Edited to add: Fantastic linkage and advice from Jessica of http://www.italylogue.com: a must-read for anyone visiting Italy! Looks like you’re talking about a 4-5 day stay in Milan, yes? That’s definitely time to get all the highlights in, plus take a day-trip (or two, if you end up hating the city!). I happen to really like Milan, but I’m looking at it from the perspective of someone who’s planning to live there – and I’m the first to admit it’s not ideal for most tourists in Italy. * I’d recommend staying in the city center, if for no other reason than it’s close to the things you’ll want to do/see and it’s a helluva lot prettier than the outskirts (although the outskirts are cheaper). Really, even some parts that can be called “city center” are kinda meh looks-wise (around Garibaldi station, for instance), but again, this isn’t “Tuscan sun” Italy… And hey! Look at that cathedral! Now THAT is pretty, eh? * Milan is (in my opinion) Italy’s most international city, so you’ll run into plenty of English-speakers (your Italian may come back to you, but the English might be nice for your mom). * Having someone you’re visiting who’s familiar with Milan (your cousin) will help you steer clear of the so-so food and whatnot, I’m guessing, which is never a bad thing. But do yourself a favor – seek out Il Massimo del Gelato (you can read about it on the Tour del Gelato on my friend Sara’s blog, link below) and get a scoop of the mango flavor. You will be transported. I promise. * My friend Sara Rosso (@rosso on Twitter) blogs at Ms. Adventures in Italy (http://www.msadventuresinitaly.com/blog/) – she lives in Milan and has some good Milan info on her site. * Another expat friend is Katie Parla (@katieparla on Twitter). She lives in Rome, but is a guidebook author for both Roma AND Turkey, so she’s got you covered on both counts. * Another blogging friend, Melanie Renzulli (@italofileblog on Twitter), lived in Turkey for a couple of years. I think she just moved back to the US within the last year or so, so she might be another good source of Turkey info. New calling cards by the amazing Brooklyn Limestone. Since I started thinking about my pending Istanbul move, after the initial excitement subsided, panic began to set in. How will I find English-language books to read?! Will I have to give up my beloved Android smartphone and my constant connection to Google?! How will I watch the final season of Lost?! I’ve spent weeks researching and pondering solutions and welcome any advice or input. Kindle pros: large selection, low per-unit price, convenient for traveling, and no buildup of physical books. Cons: high initial price, not the same as actual books, unsure of technology and “feel,” and what if it gets lost or stolen?! Book pros: Proven technology, English-language bookstore or exchange = instant community, no entry cost might add up to less over time, better reading experience. Cons: Higher per book price, less convenient to acquire and smaller selection. Long-running TV shows I can watch on DVD and pretend they are new. I’m catching up now with season 2 of Breaking Bad and working my way through Freaks & Geeks. H. and I both have T-Mobile’s myTouch Android phones and love the ability to use the internet, Gmail, Google Maps, and other fine products offered by Google. We can unlock our phones and go with Wi-Fi, but I need to read up on the finer points of buying SIM cards in Turkey, I’ve heard things that they limit the time you can use a foreign phone. I’ve set up a Google Voice number that can forward all calls to another number or just be used as voicemail in order to put on my personal “calling” cards shown above and can use Nimbuzz to use Skype on the actual mobile phone device, but welcome other ideas/tips/problems. After nearly a year’s absence, I thought I’d blow the dust off this puppy. I’ve been all about the “microblogging” recently, keeping up with Facebook updates and Twitter (follow me @thenotoriousmeg), but haven’t had the attention span to write anything substantive. 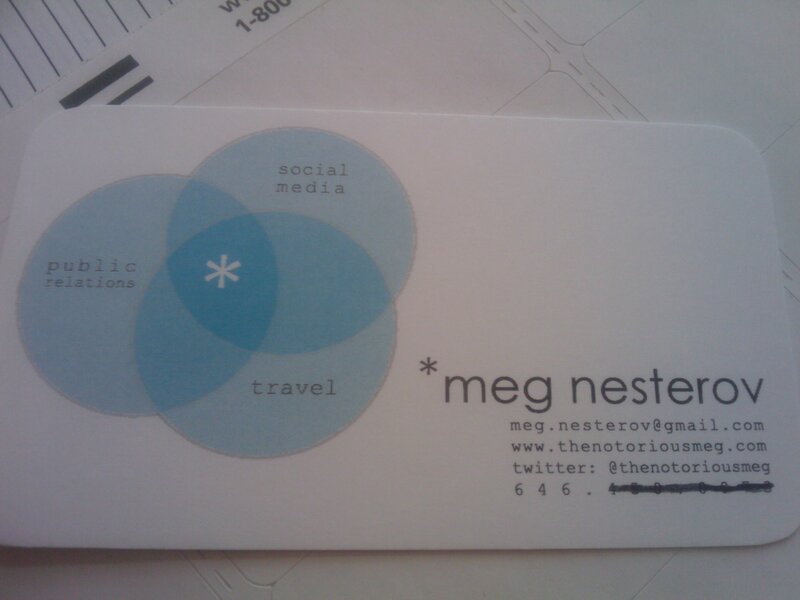 But given the state of the economy, who knows how much longer I’ll be able to travel, so I might as well document it. 2008 was a banner year for my passport, ringing in the New Year in Nicaragua, closely followed by an all too brief trip to Paris (my first), two work trips to Italy in spring and summer, an epic trip to Portugal for which the Husband stayed on an extra two weeks alone, Labor Day week in Barbados for a gonga deal (no real photos from this trip), and ending the year in Istanbul (photos and commentary to come). Wow. I feel fortunate as hell. I wish I could go back and write about each place (and perhaps I will at some point), but a few things I realized in the course of all these travels.